What did you think about Luck Be a Lady (4x03)? What did you think about Elongated Journey Into Night (4x04)? What did you think about Girls Night Out (4x05)? What did you think about When Harry Met Harry... (4x06)? What did you think about Therefore I Am (4x07)? Do you think the show should put Godspeed in this next season as the next villain? Here’s the official description for the May 3 episode courtesy of The CW. 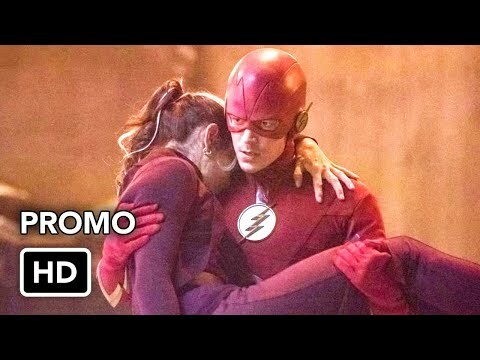 As one of the most anticipated series of all time, The Flash finally returned from its one month hiatus. I have seen the teaser and promo pictures, and read the official synopsis. The Flash has been accused for going rogue as well as being send into the pipeline? Iris's potential new lover?? Most of all, the appearance of the first female speedster ever??? Well, now after watching the sixteenth episode, I couldn't help myself to write my positive and negative opinions about it. (+ is for positive and - is for negative.) Let's start right now! About a month ago, Tuesday, 8th December to be precise, I was waiting for The Flash's mid-season finale with great enthusiasm and full of expectations. Usually mid-season finale is one of the most highly anticipated of all episodes in the series since the writers created something big and thrilling that makes us, the audience, unable to wait for the continuation in next year. Concisely, it creates a huge impact for the forthcoming episodes. A l'occasion de la SuperHeroes Con qui se tenait dans la capitale fran?aise le 6 et 7 juin dernier, la rédac' de melty a pu s'entretenir avec la divine Danielle Panabaker. De Killer Frost en passant par Snowbarry, la jolie actrice s'est confiée sur l'avenir de Caitlin. With The Flash getting a pilot order, and the majority of the principle cast filled, speculation can begin on what will happen with the show. Numerous things have been said about where they might take Barry Allen, who was first featured in Arrow, but as of right now it’s all just been rumors. a photo was added: The Flash 5.18 "Godspeed" Promotional Images ? ?